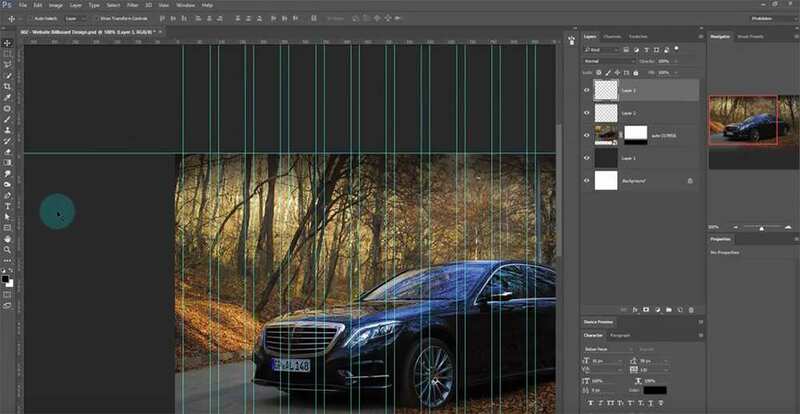 If you’re new to the design world then Photoshop may feel intimidating. But it’s the most useful design software you can learn for handling all types of UI/UX work. 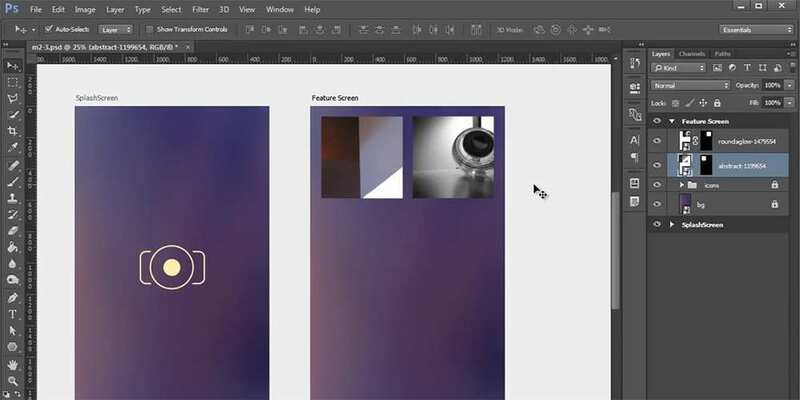 This program has been a staple design tool for decades, and that’s not changing anytime soon. Thankfully nowadays you can learn Photoshop from the comfort of your own home. All you need is an Internet connection and a few hand-picked tutorials to get you started. And that’s exactly what this collection offers: excellent (and free) Photoshop video tutorials for beginners. If you want to become a web design expert then check out this playlist aimed towards all skill levels. It’s a mix of videos from many different YouTube channels all full of handy UI/UX design tutorials. These range from the absolute basics to more technical tutorials with a whole range of techniques you can learn. Best of all this playlist is truly unique with a wide array of tuts covering Photoshop CC for interface work. Learn to craft a single page layout, or craft your own e-commerce checkout page. All of these videos will help you improve and master the art of web design. 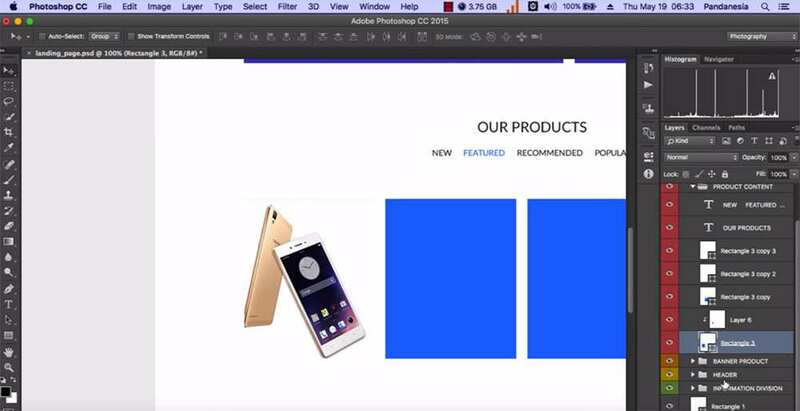 In this playlist you’ll find a handful of video tutorials showing you how to design a responsive website layout from scratch. The tutorials are easy enough to follow but do require some patience. In total, the series runs about an hour long, and you’ll learn all about the setup for creating your own layouts. Note this tutorial isn’t great for learning everything about Photoshop from scratch. It won’t cover much about shapes, type, colors, or anything like that. Instead use this guide to help you prepare a better workflow for your design projects and make your responsive layouts a little easier to handle. So you want to design some awesome landing pages, but you don’t know where to start. How about this series from 1stWebDesigner. These videos follow a series of techniques in a step-by-step instructional style on how to design sick landing pages. Early videos start with finding inspiration and planning your wireframe. Then you’ll focus more on design, type, and optimizing for conversions. 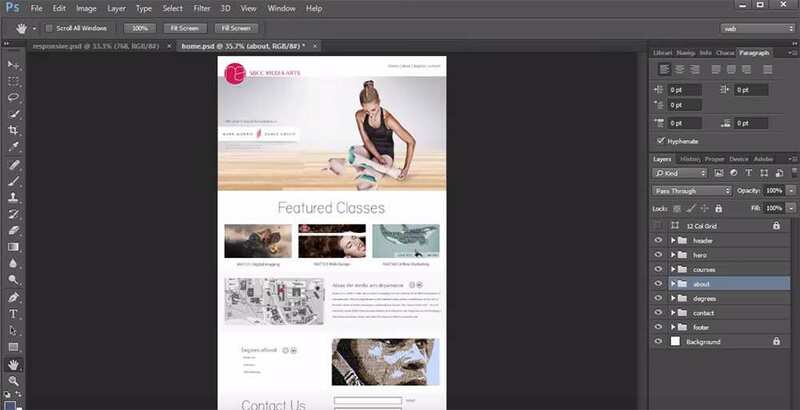 With this series you’ll become a landing page design ninja in no time. I think Photoshop knowledge comes from daily practice rather than study. And with a video series like this one you can easily get some solid hours of practice in daily. This playlist includes over 30 videos ranging from icon design tutorials to mobile app GUI videos. You can explore everything in the design world and learn all of it through the magic of Photoshop. Yes, that even includes complete beginners too. All videos come courtesy of Angga Risky’s YouTube so check it out and see what you think. Here’s another cool playlist curated by the Photolation channel. Note this playlist has a much tighter focus: just web design created in Photoshop. You can follow along with a handful of videos each covering a different aspect of the interface. You’ll learn how to create a full portfolio site mockup, a company homepage, and even a website billboard effect. All of these videos are pretty long with some hitting 15-20 minutes, others totaling over an hour of runtime. The longer the video, the more you can learn. If you do any type of digital design work then you know the importance of branding, icons, and logo design. Check out these free videos organized into a handy playlist by Arunz Creation. Each video covers a different style of project that you can make from scratch in Photoshop. Want to create a neat ribbon effect? Photoshop can do that. How about a custom logo glyph or text effect? All of that stuff can be found in this one-stop shop of free PS design knowledge. I really think this playlist should be a beginner’s best friend. 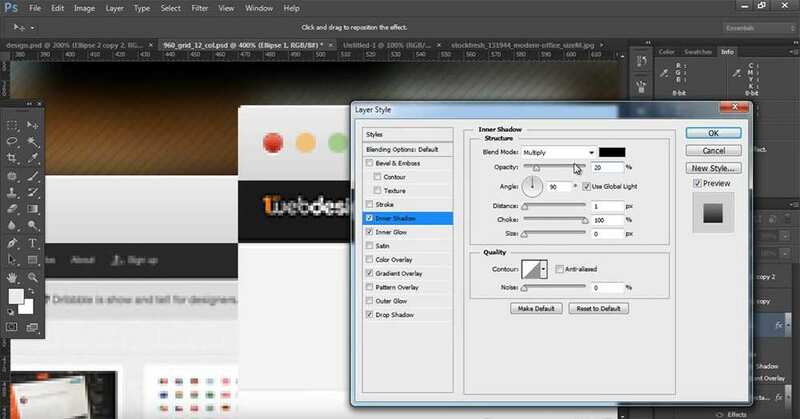 Through all of these videos you’ll learn the absolute basics of Photoshop for interface design. This is crucial knowledge to absorb because the interface is basically all you have. Once you understand how Photoshop works, all of its tools, the panels, the features… then you can start thinking for yourself and testing new techniques. That’s how pro designers work: pushing boundaries, breaking the rules and trying new things. But you need to understand the basics first, and that’s precisely what this video series will teach you. I mentioned a playlist earlier by Angga Risky with a general UI video series. Well they put together another playlist of videos focusing just on web design for Photoshop. And these videos are the bee’s knees. 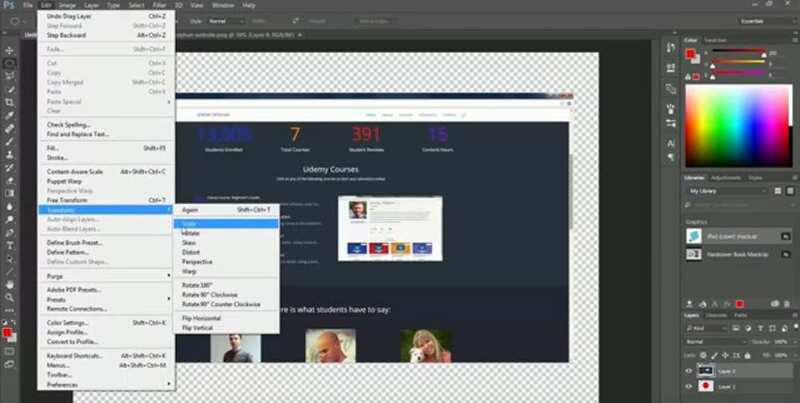 Specifically you’ll start by learning how to create a full e-commerce website from scratch in Photoshop. That tutorial series has about six parts totaling around 60-90 minutes of runtime. Later in the playlist you’ll find a mix of tutorials on many different projects, but they all aim to improve your confidence working & designing in Photoshop. It’s not just designers who want to learn Photoshop. Sometimes marketers and entrepreneurs want to learn this software to use PS on their own without hiring a designer. If this describes you then check out this playlist full of handy projects tailor-made for people outside of the design sphere. These projects are perfect for mastering the art of design without worrying about the intricate details. If you just want to create your own website or design a simple page for your products, this series is for you. I’d like to wrap up with a small icon series focused on Photoshop icon projects. All of these videos are 100% free and super easy to follow. They’ll teach you how to create icons from scratch using Photoshop and get them pixel perfect. Not to mention you’ll also learn about Photoshop’s many vector tools that let you create scalable icons that never have any quality loss. Pretty cool! A convenient series to bookmark and follow if you’re just getting into icon design.